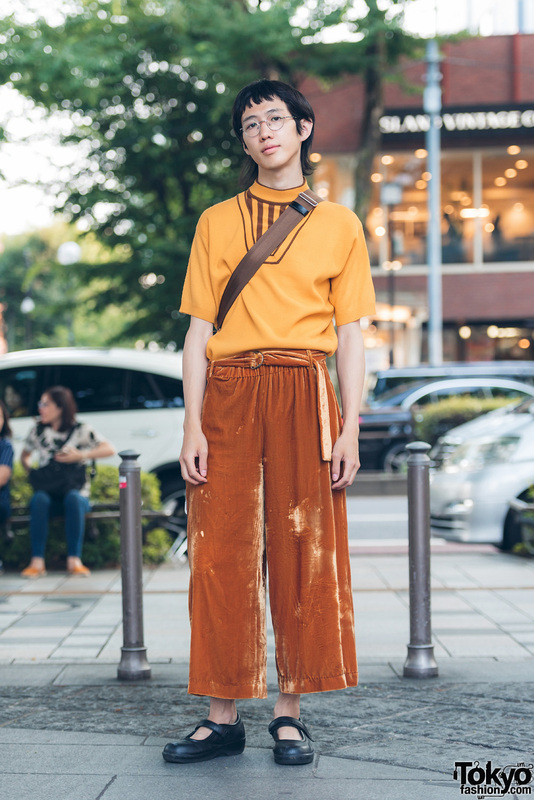 Harajuku guy in vintage orange minimalist outfit with turtleneck shirt, velvet drawstring pants, baby doll shoes and a mini crossbody bag. 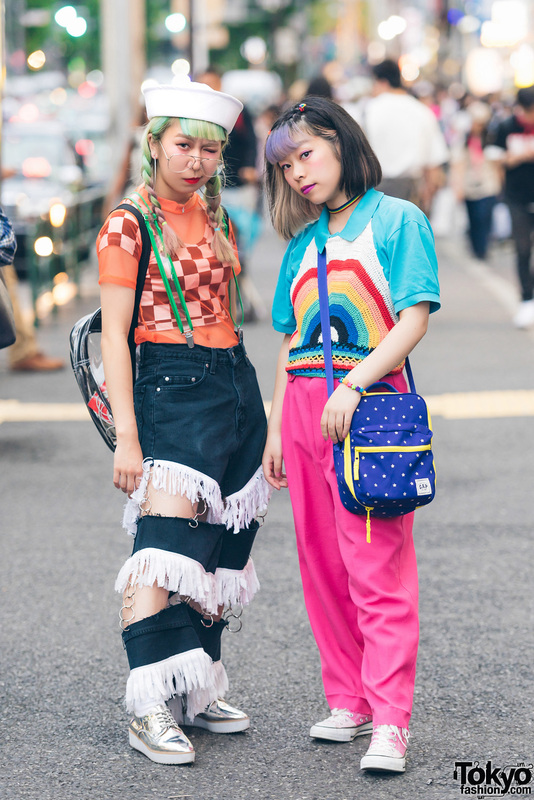 Harajuku duo in Japanese streetwear with Supreme tee and two tone pants, jersey shirt and track pants, sneakers and mid calf boots w/ transparent block heels. 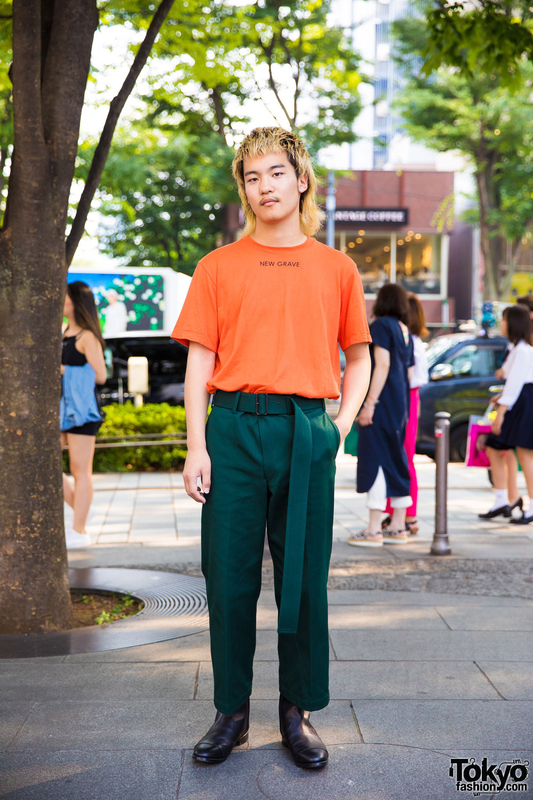 Harajuku blonde-haired student in orange and green streetwear ensemble with t-shirt, pants, and leather ankle boots. 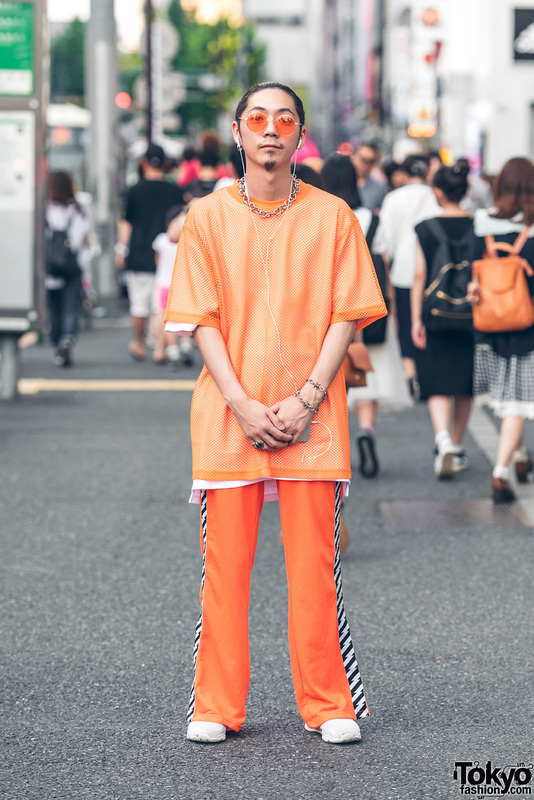 Harajuku guy in orange fashion wearing a mesh t-shirt over a white t-shirt, track pants, white sneakers and silver jewelry. 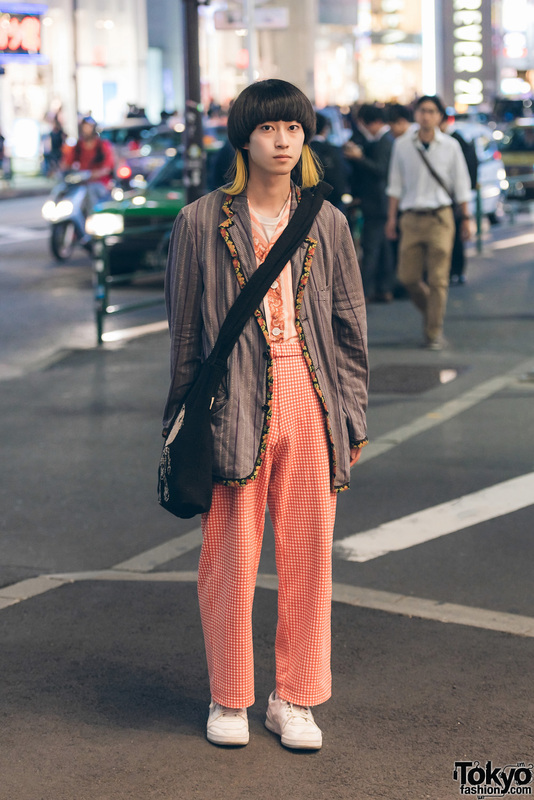 Harajuku shop staff wearing a coat, orange shirt, gingham print pants, black crossbody bag and white sneakers. 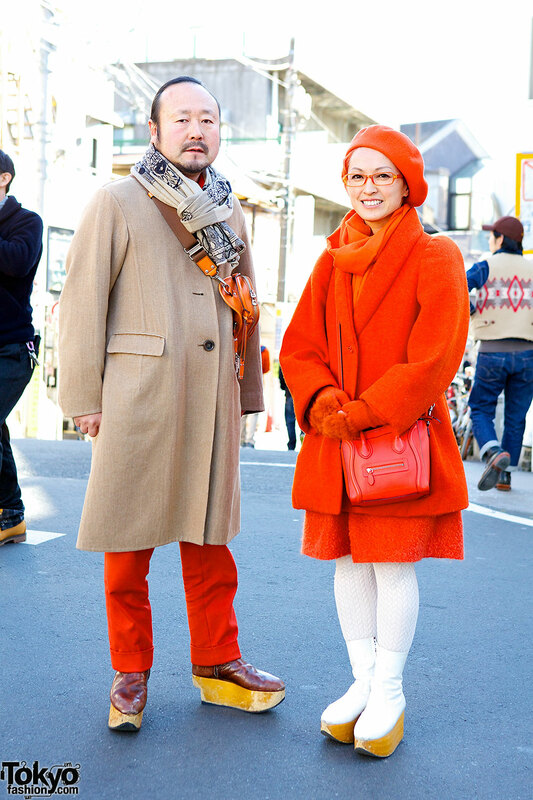 Stylish Harajuku couple wearing orange and beige with leather bags and rocking horse shoes.